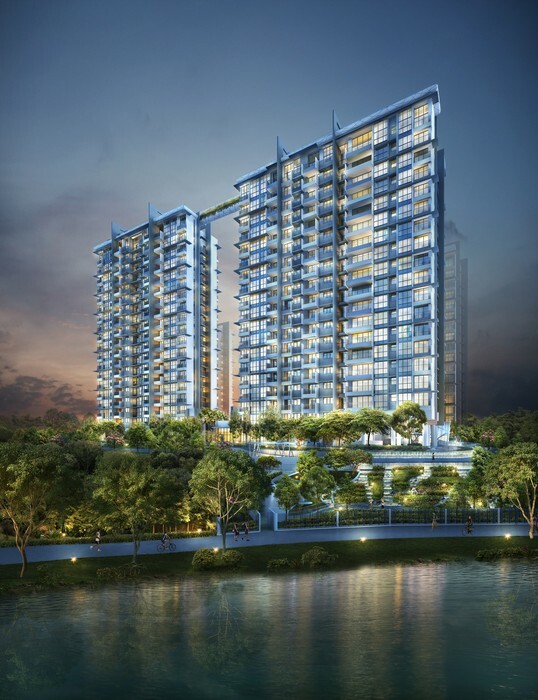 RIVERBANK @ FERNVALE is a brand new 99 years old leasehold private condominium development sited at Sengkang West Way / Fernvale Link (District 19), with expected completion in Q1 2018. 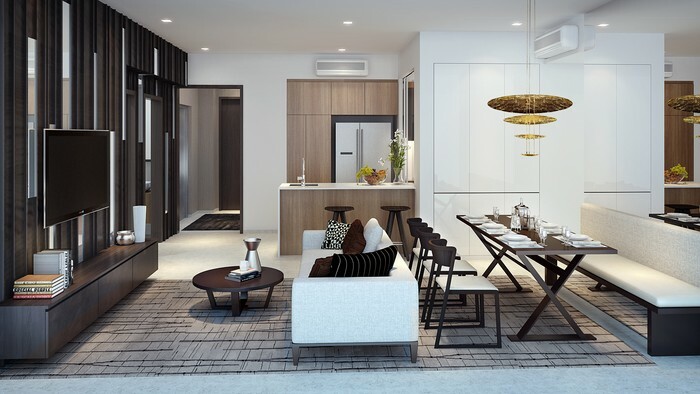 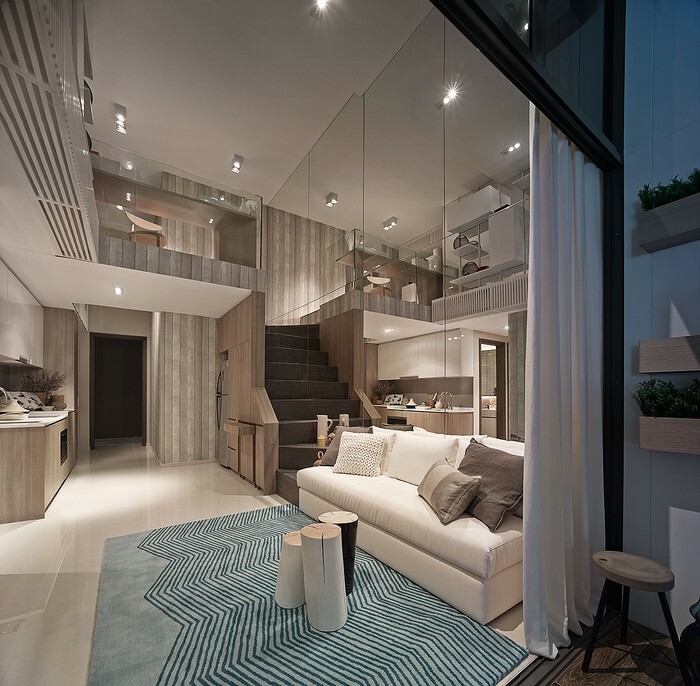 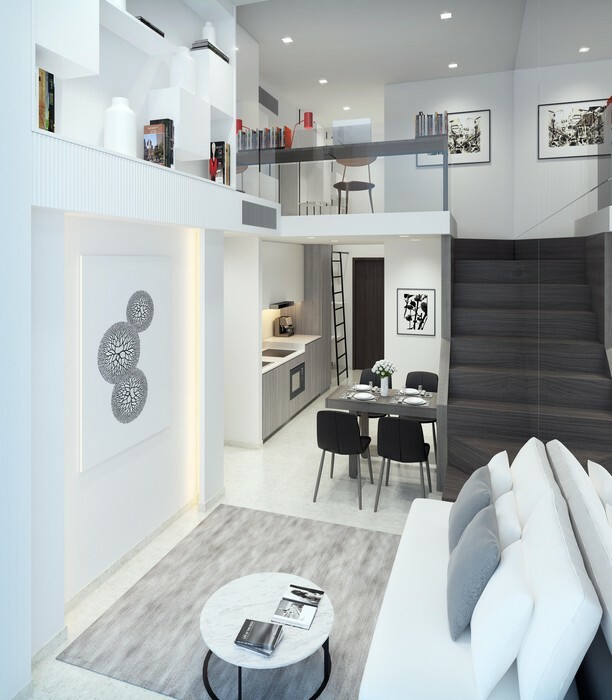 Developed by UOL, RIVERBANK @ FERNVALE comprises of 555 1 to 5 Bedroom apartments, Loft & Cabana units and is right beside Layar LRT Station as well as Sengkang Bus Interchange. 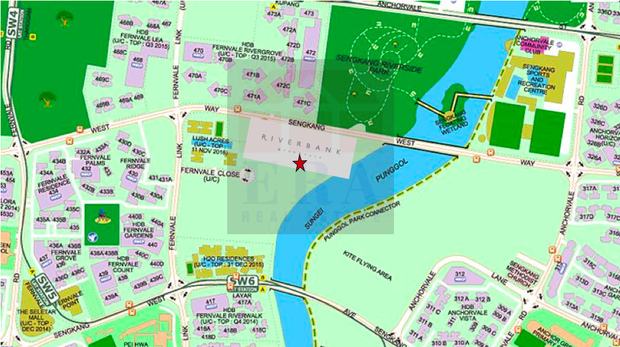 RIVERBANK @ FERNVALE has complete exclusive facilities, which includes a guard house, clubhouse, Function Room & Indoor Gym, Tennis Court, 50 metres Freeform Pool Deck, Wading Pool, Splash Pool & Family Pool, Jacuzzi & Hydro Spa, BBQ Area Dining and Play Fountain, Fitness Alcove & Children’s Playground as well as Garden Trail. 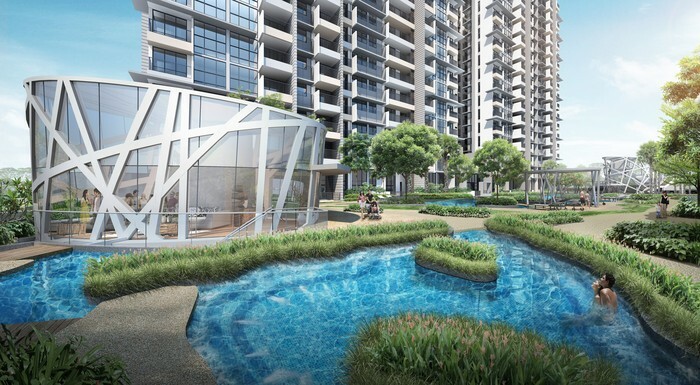 RIVERBANK @ FERNVALE is a rare opportunity for both investors and families as such a conveniently located property does not come by easily, with a total of 8 bids submitted during the public tender of the development site. 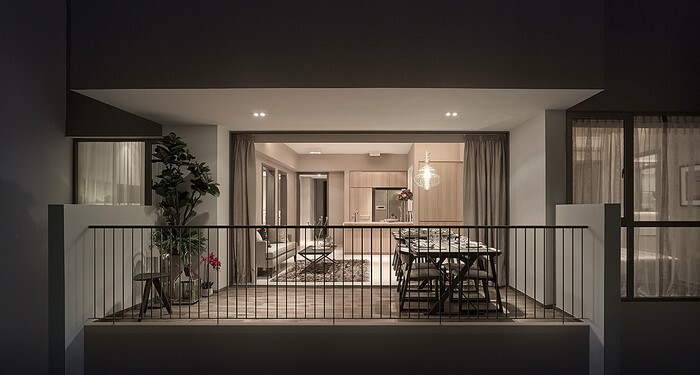 Future residents of RIVERBANK @ FERNVALE will be able to access nearby Compass Point and Greenwich Village which is only a short drive away and widely known for its family gatherings and events. 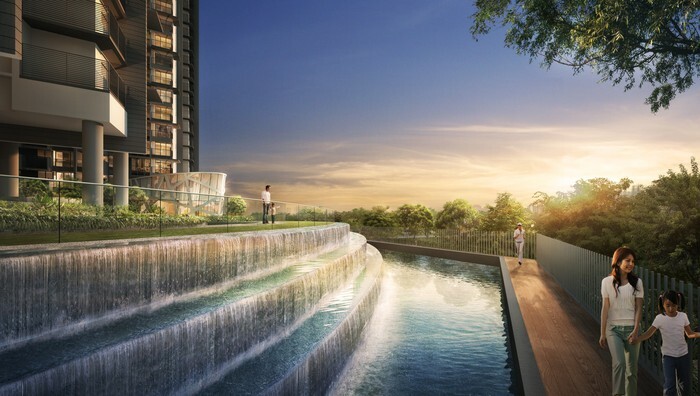 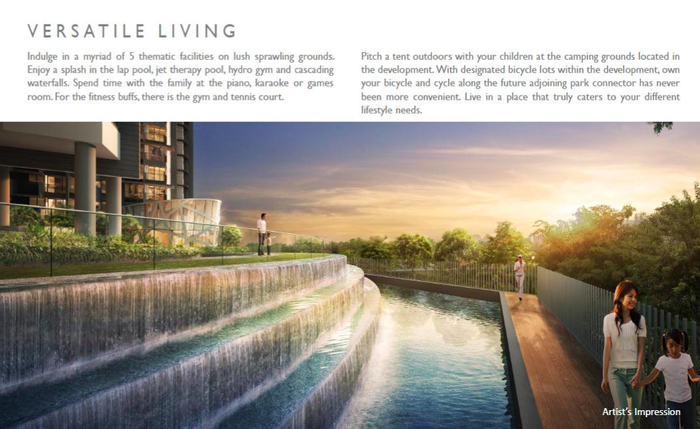 Residents will also be equally delighted by the availability of shopping amenities such as Fernvale Point, Seletar Mall and the upcoming Waterway Point, the shopping, dining and entertainment hub which is bound to open in 2 years’ time. 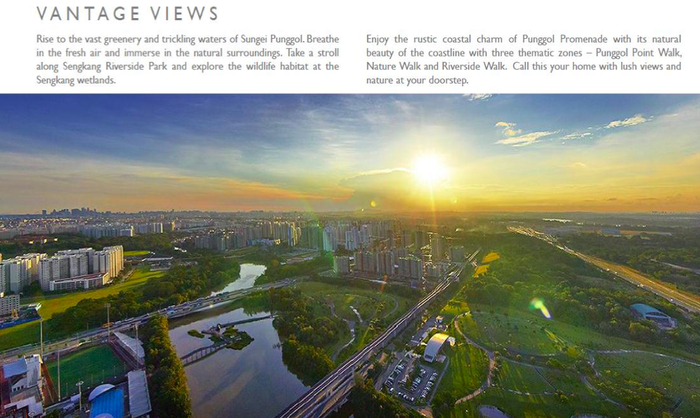 In addition, RIVERBANK @ FERNVALE is right next to Punggol Waterfront, adding to the list of fun packed entertainment venues for the whole family and neighbourhood. 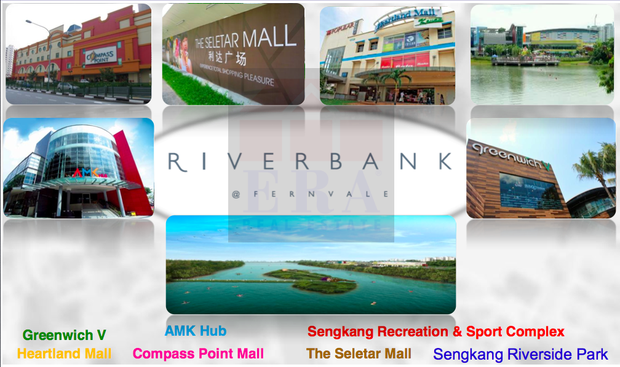 Fitness buffs and sports lovers will greatly appreciate recreation venues such as the Sengkang Sports and Recreation Centre located within the vicinity of RIVERBANK @ FERNVALE. 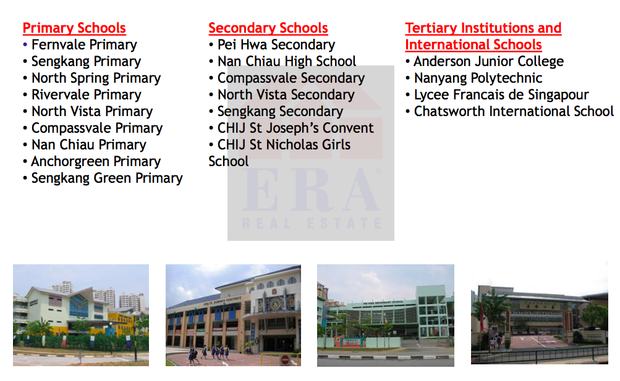 Families with schoolgoing children at RIVERBANK @ FERNVALE will have easy access to well known nearby educational institutions such as Sengkang Green Primary School, Pei Hwa Secondary School, Edgefield Secondary School, Nan Chiau Primary School and Compassvale Primary School. 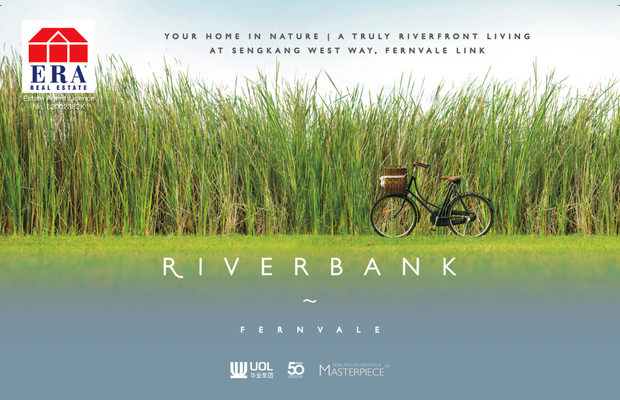 Future residents of RIVERBANK @ FERNVALE will enjoy several options for getting around the city and moving from and to their residence. 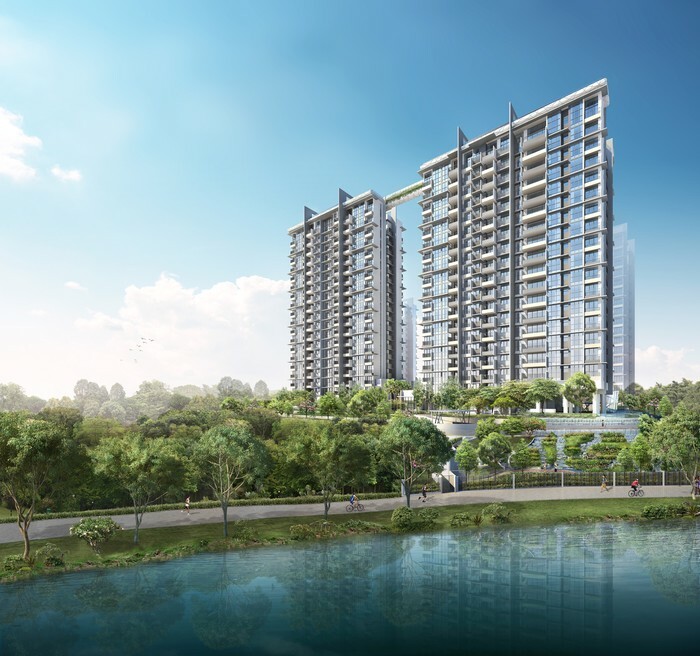 While offering convenient access through the Layar LRT Station, the project is also in close proximity to the Sengkang Bus Interchange. 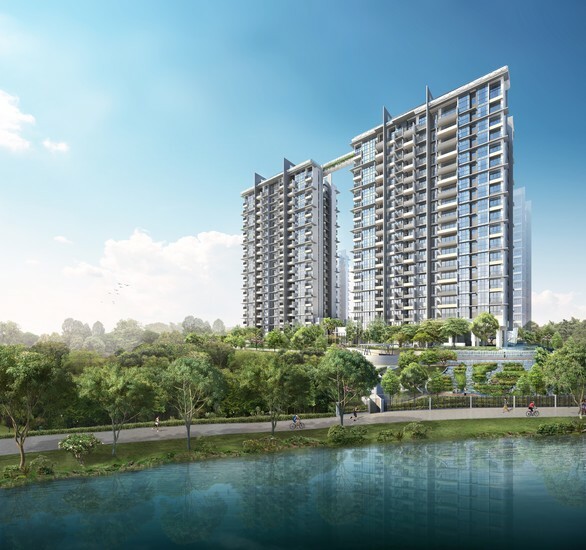 For residents wishing to drive from and to work or for business, the project is well served by the Kallang-Paya Lebar Expressway (KPE), Central Expressway (CTE) and the Tampines Expressway (TPE). 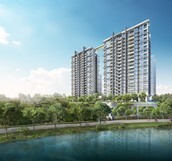 This means you’ll have a less than 30 minute commute to get from Riverbank @ Fernvale to the business hub or the vibrant shopping district of Orchard Road. 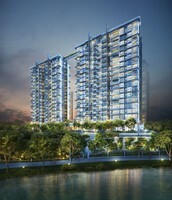 RIVERBANK @ FERNVALE is assured to be of substantial demand and guaranteed to be the premier choice for everyone with its vast selection of 555 units of 1 to 5 bedroom apartment, dual keys, loft and cabana units, making RIVERBANK @ FERNVALE one of the rare projects suitable for multi-generation families. 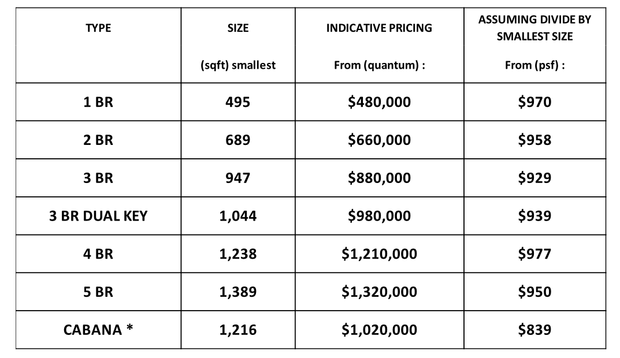 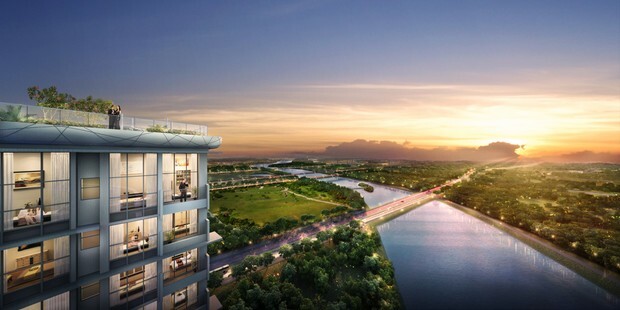 Riverbank @ Fernvale’s land purchase price is significantly lower than recent land acquisition costs for nearby sites, with a total of 8 bids submitted during the public tender of this development site. 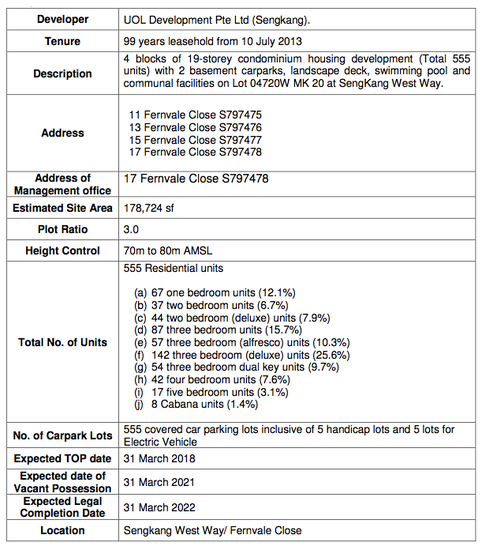 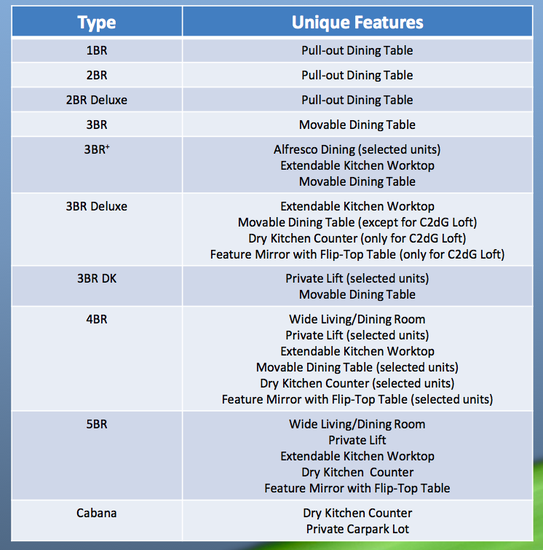 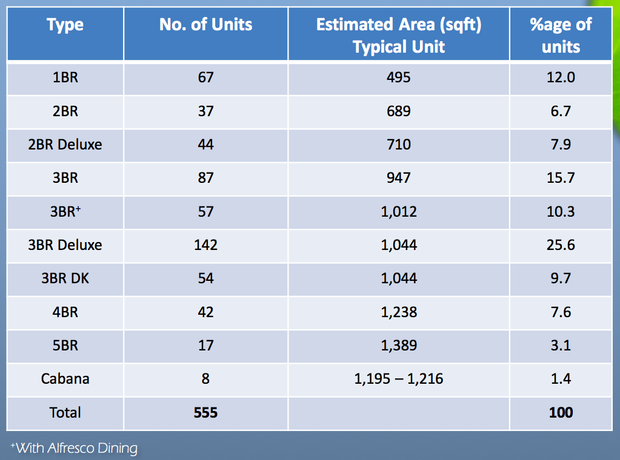 Choice units start from an affordable $480K onwards. 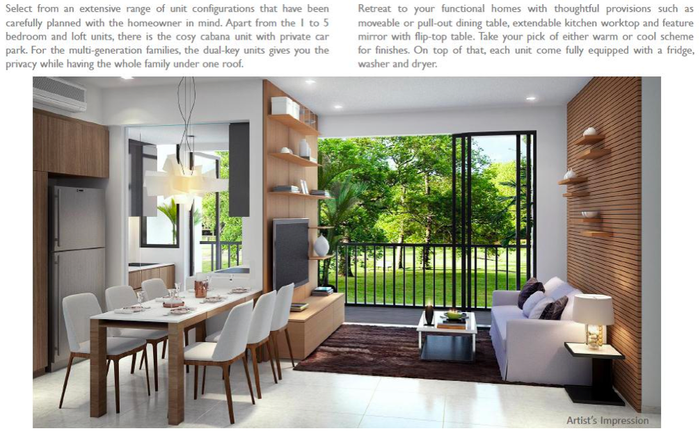 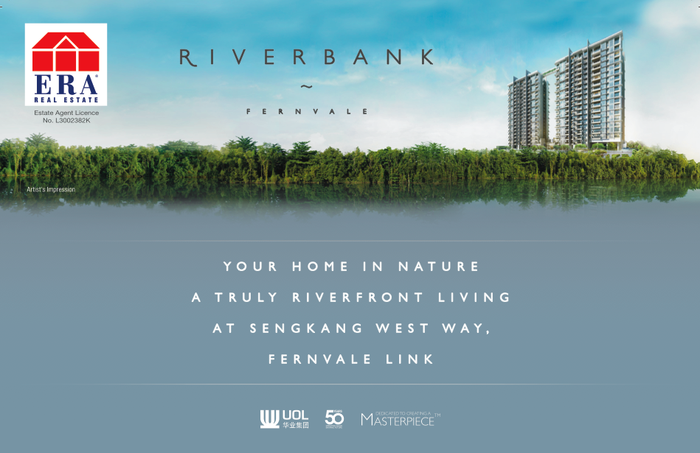 All units at RIVERBANK @ FERNVALE are optimised for the luxurious comfort and designed to provide with unforgettable family moments. 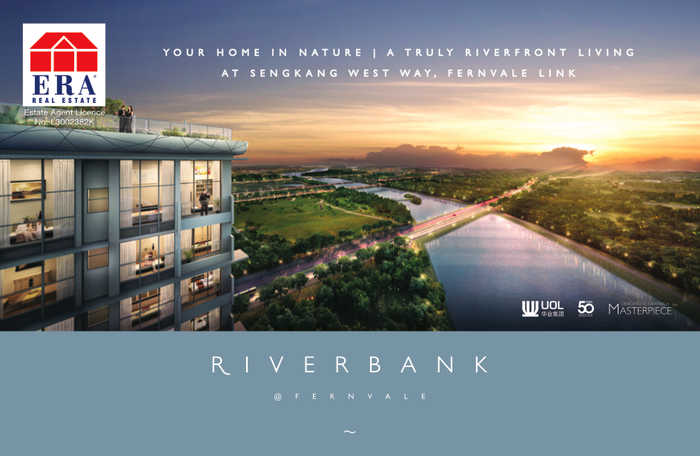 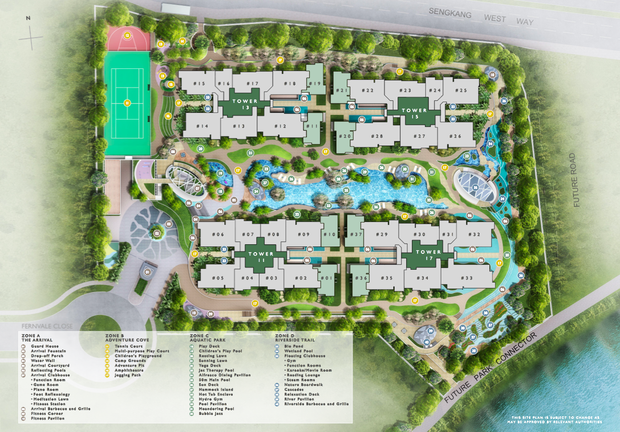 Register your interest at seanyeocg@era.com.sg for a copy of RIVERBANK @ FERNVALE's brochure along with the latest information of this upcoming development. 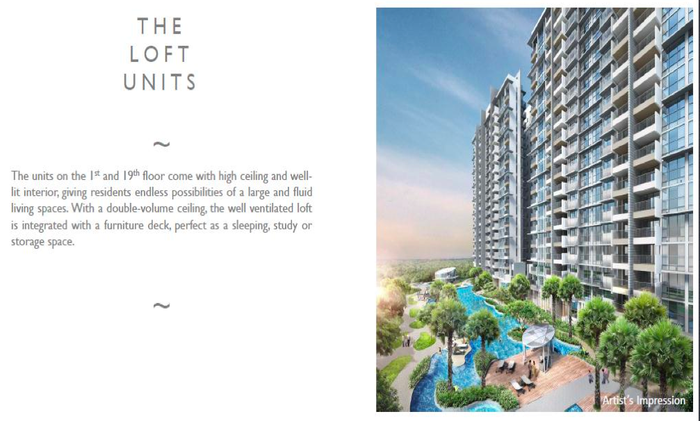 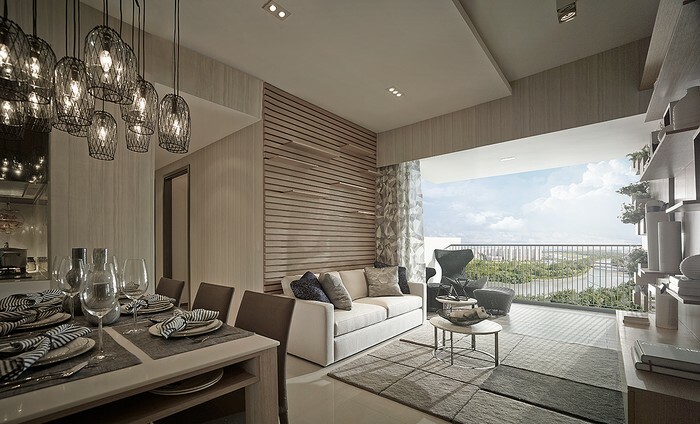 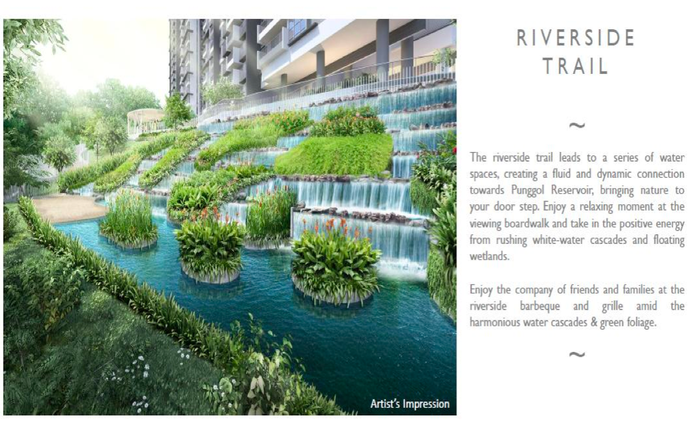 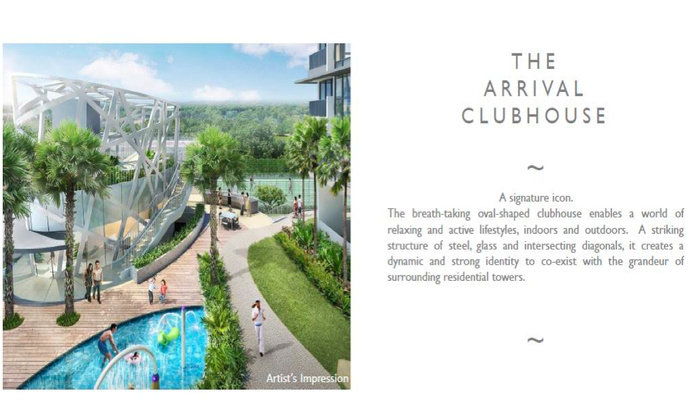 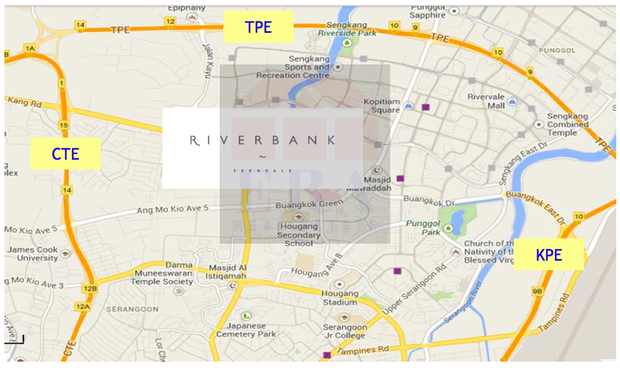 RIVERBANK @ FERNVALE's VVIP Preview commences from 6 to 11 February 2014 . 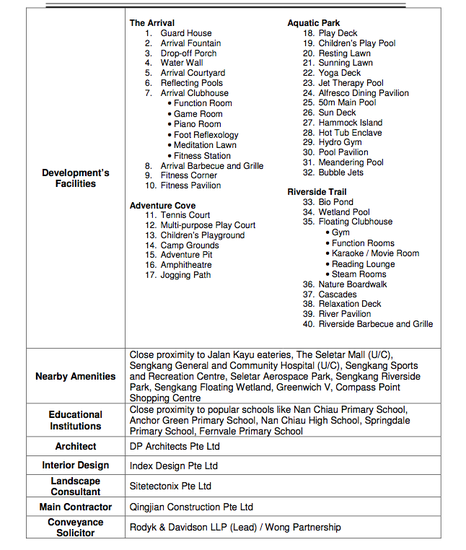 Priority booking is scheduled to be on 14 February 2014. 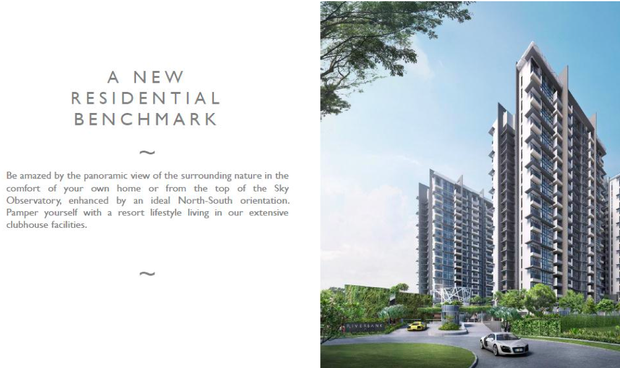 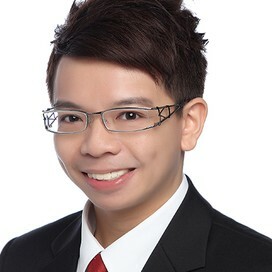 Kindly contact ERA Marketing Agent SEAN YEO at 96-895-895 to arrange for an exclusive appointment or email seanyeocg@era.com.sg for any of your queries.